Need a New York Traffic Ticket Lawyer? We handle all Speeding Tickets in New York State. We handle all Traffic Tickets in New York State. We handle all Truck Tickets in New York State. We’ll get you back driving by clearing most suspensions in just a day. You can also use the three sophisticated tools that we offer to help you develop a plan tailored to your unique traffic violation situation. The best part, our tools are free to use! Use our free traffic ticket tools to begin the process of determining whether to fight your ticket and learn how to fight your ticket or contact one of our NYC traffic ticket lawyers. Calculate Points: One of the largest concerns motorists have after receiving a ticket is the number of points they’ll receive. The free Point Calculator will tell you exactly how many points your ticket carries. Determine whether or not to fight: Sometimes it makes sense to go to court, while other times paying your traffic ticket is the best option. Our free Ticket Analyzer tool will help you decide whether or not to fight your ticket and why. And build a plan of action: With Weiss & Associates, PC’s free Ticket Strategizer tool is a one-of-a-kind tool that helps you start the process of defending yourself by explaining how you can fight your ticket. We make your traffic issue as easy as possible. It’s no secret that driving in New York State presents a unique set of challenges. Our experience in handling traffic tickets of any kind is unmatched by any other NY Traffic Attorney firms out there. As one of the leading NY Traffic Lawyers in New York, we understand how difficult the emotional and financial toll a traffic ticket can be for individuals and their families. The risk of license suspensions and insurance hikes, as well as the steep fines and other costs, can result in a great deal of uncertainty for the future. This is especially the case if you’re wondering whether or not to fight your ticket. With Weiss & Associates, PC, you’ll be given the guidance and support you need from an experienced NYC traffic ticket lawyer to proactively handle your specific situation. It is our mission to make fighting all traffic ticket cases quick and stress-free from start to finish. But don’t just take our word for it! View our success rates based on your specific borough or county, or browse our online reviews of satisfied clients. If you find yourself on the receiving end of a traffic ticket of any kind, we have a NYC Traffic Attorney standing by to fight your traffic ticket, try to limit points received, and help you gain valuable knowledge about the options available to you. We make your traffic issue as easy as possible. If you’re in need of a knowledgeable and professional New York Traffic Ticket attorney to provide assistance and support in fighting your traffic ticket, trust the lawyers of Weiss and Associates. We guarantee your satisfaction and positive experience at one flat fee and with the responsive service you deserve. Simply e-mail or call at your convenience to discuss the actions you can take today to fight your ticket. Our experienced traffic lawyers will guide you through the emotional experience of receiving a speeding ticket, traffic ticket, truck ticket, suspension, and more. There's no need to go to court - we can go for you! 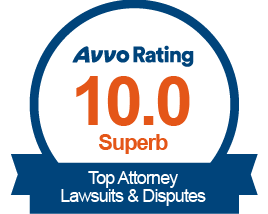 Our goal is always to make your legal problem as easy as possible.